[Everyday] Psychophilosophy » How Can Eye Contact Protect You? 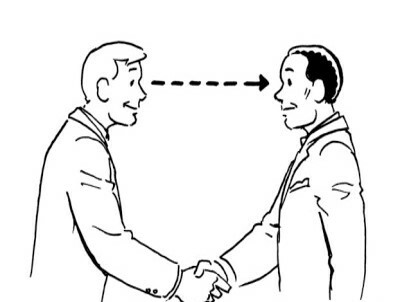 How Can Eye Contact Protect You? One of my favorite things about grad school? I can tell people that I literally study persuasion for a living. From writing chapters on persuasion to conducting my own research on the topic, there’s hardly a day I don’t think about the psychology of persuasion in some capacity. However, recently (i.e., today), I took persuasion outside of the academic context and published a 10-day course on the psychology of persuasion on the very popular website, Highbrow. There, you can sign up for a variety of different “classes” (on art history, philosophy, biology, productivity—you name it!) that will send you a brief email daily with information about your topic. In fact, I myself have gone through at least a dozen of them and have always left smarter than I was before. In previous research, social scientists have shown that speakers are more persuasive when they make eye contact with their audience. Likely, this occurs because eye contact from the speaker encourages you to pay attention to their message. However, one thing unaddressed in this research is what happens when the listener also makes eye contact with the speaker. In the first of two recent studies, researchers had participants watch a series of videos where speakers gave persuasive messages for a variety of controversial topics (e.g., assisted suicide, the current practices of the meat industry). And during these, the participants’ gazes were measured via eye-tracking equipment. 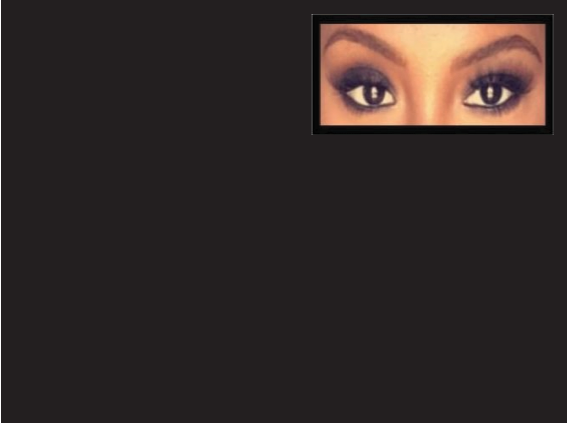 Interestingly, the more that listeners watched the speakers’ eyes, the less they were persuaded. However, this data is all correlational, and as such, you could imagine that maybe those who looked longer at the speaker’s eyes simply agreed with the speaker’s position already, and that’s why it simply “appeared” like they were less persuaded. In the researchers’ second study, though, they added an experimental manipulation that directed participants to either look at the speaker’s mouth or eyes when they were talking. And here, we can make a causal claim about eye contact: those who were told to look at the speaker’s eyes (vs. mouth) were again less persuaded. Now, the researchers didn’t have a lot of evidence as to why looking at the speaker’s eyes reduced persuasion; however, one could speculate that making extended eye contact like that could generate a feeling of “threat” (as in the animal kingdom, eye contact is a sign of challenge) in which case the listeners were subsequently less receptive to the speaker’s arguments. Kleinke, C. L. (1986). Gaze and eye contact: A research review. Psychological Bulletin, 100, 78–100. Question: By calling us “dear reader” then saying “my dear reader”, is that a persuasion trick? Getting us to trust you more or something?